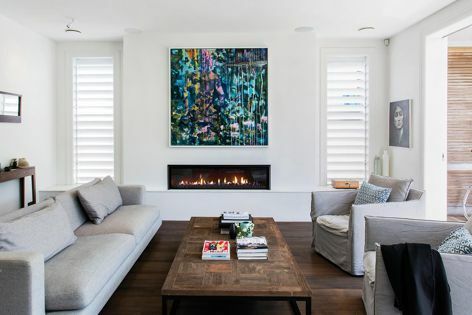 A DX1500 gas fireplace makes a stylish centrepiece in this modern villa by Jessop Architects. Make a powerful statement with the Escea DX1500 fireplace. Setting new standards in gas fireplaces, the DX1500 combines a 1500-mm-wide frame, 4.3 Energy Star rating, heat ducting technology and Escea’s exclusive Smart Heat control system to create a sophisticated ultra-wide fireplace.